Wow it has been a while since I visited here. Didn't drive my car (2003Q45) as much over the last few years because I had a company truck. She has about 124k miles on her. Now I have a new job and drive it a lot more. The Tire Pressure Monitoring System, TPMS, alarm came in. I was wondering if anyone else has had trouble with this part of the car? I know the components can get expensive so was thinking a reset would be my best bet before going to the dealer (stealer). There is a procedure online for a G37 but the setup is a little different or at least the parts are in different places. The pressures will not show up and after about 25 mins of driving the alarm comes in saying there is a problem with the TPMS. I turn off the car and the cycle repeats on next drive. It has been happening for a few weeks now and no longer ever works. One tire sensor was replaced about 2 years ago by the dealer. Thanks for any advice. It's not unusual for the sensors to become corroded from the little bit of moisture in the air in the tires after a few years. Given the age of yours and the mileage on the car, I'd have to wonder if at least some of your sensors have "died". Step 2: Locate the TPMS interface plug. 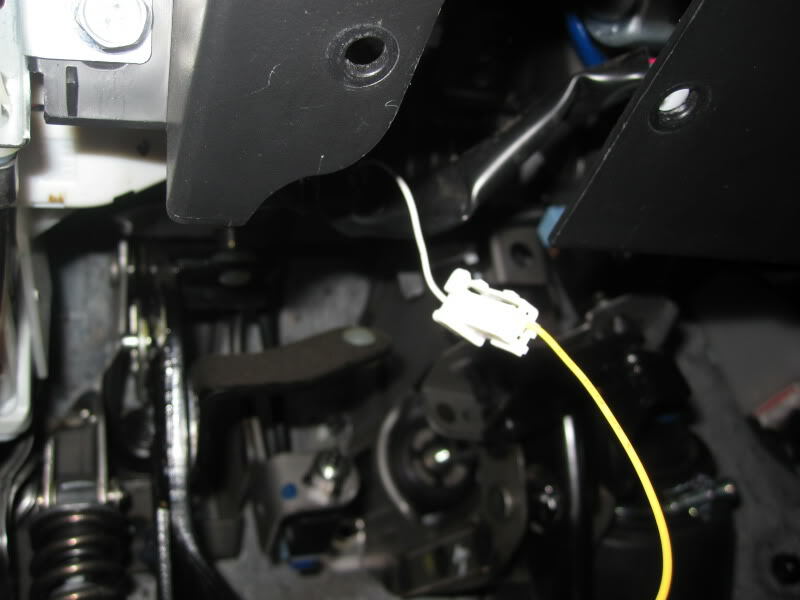 This is a white female plug that is attached to the OBD II wire loom under the dash right about where your left knee would be when sitting in the driver's seat. You may have to cut the tape that is holding the TPMS interface plug to the OBD II wire loom. Step 3: Attach a paper clip or wire into the interface plug. Step 4: Put your key in the ignition and turn it to the last click before the engine starts. This is the KOEO position (Key On, Engine Off). Step 5: Tap the end of the paper clip (the end NOT in the interface plug, duh!) on any exposed ground (metal) 6 times. Step 6: If you completed step 5 then the TPMS warning light will start to slowly flash and you have activated the TPMS relearn process. If it flashes fast that's not right. If yours isn't flashing slowly then check your connections, turn the ignition off and start over at step 4. Note: if you're having trouble getting it into the relearn mode, try grounding the connector, turn the car on, then turn the car off while still grounding it. Then repeat the above steps. Step 7: Once you confirm the lights do not stop flashing, step on the clutch/brake and start the car. Do not turn the car to OFF position. Start driving >25mph until the light goes out. It could take as long as ten minutes. Step 8: The light will quickly come back on due to the low tire pressures. Refill your tires to the correct pressure. Given the age I would bet the 1 or more of the sensors are toast. Not sure about these, but many have a built in battery to power the device while in motion. They eventually fail (like any battery) and the sensor needs to be replaced. what the others guys said.. sometimes u just ahve to buy the bullet.